The time of ghouls and goblins is almost upon us, and here at VarageSale, we’re certainly feeling the Halloween spirit. 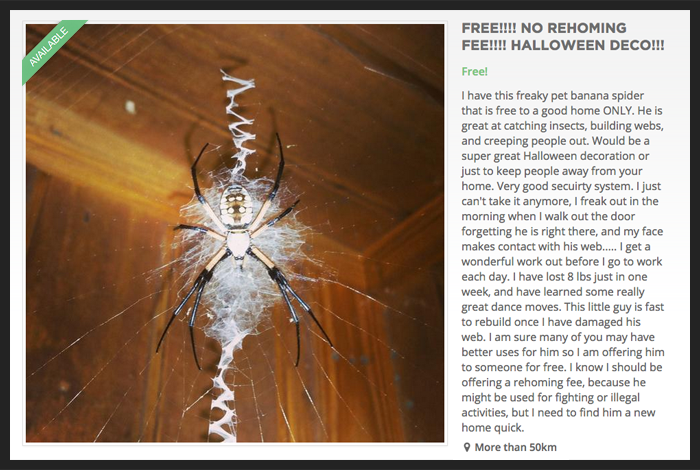 Perhaps due in part to the many communities who are going the extra mile to bring Halloween to their members. We were blown away by all the creative ideas out there, so we decided to share them with you. Keep reading to see how our members use VarageSale to make Halloween a whole lot more fun. Charmaine is an artsy Halloween lover who always goes all out at this time of year. 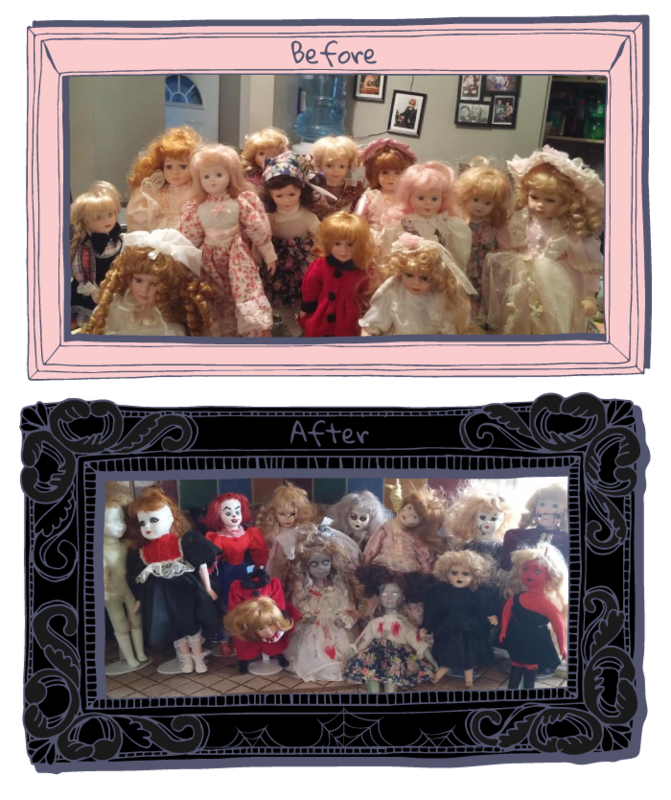 When she came across these porcelain dolls up for sale in her Regina, Sk Area Buy and Sell community, she decided to buy all 13 of them (for only $30!) and give them a terrifying makeover. She plans to use them to make the corners of her home a little spookier this year—the perfect touch for her Halloween birthday party! Terri didn’t realize it, but in addition to her four dogs, she was also the proud owner of a very large (and very real) pet spider. Seeing that this extra addition was “bigger than a lemon,” it’s surprising it took her so long to realize she had the extra company. After her somewhat shocking discovery, she decided to put it up for sale in her Exchange In La Grange, TX community, where—surprise, surprise—she didn’t get too many offers. At least she doesn’t have to buy extra Halloween decorations this year! Shana has been providing monster-like makeovers to her community for the past year or so. 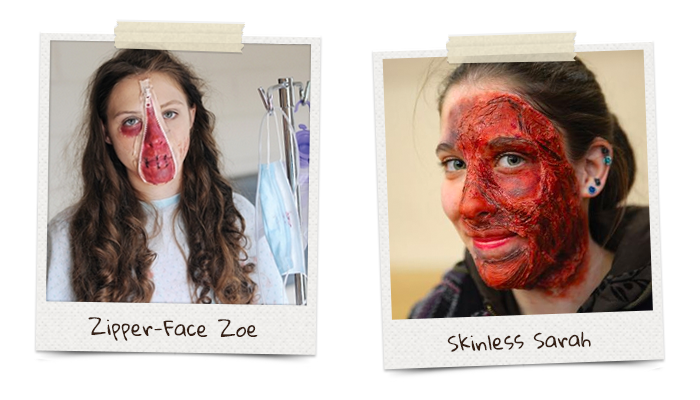 From Zipper-Face Zoe to Skinless Sarah, she can make the most beautiful woman or the most innocent child look like your worst nightmare. This Halloween, she’s looking forward to transforming friends, family and neighborhood kids into grotesque and gruesome masterpieces. Every year, Jennifer’s community hosts an event that brings tons of neighborhood kids together around Halloween. Hundreds of members from the Erie PA, Garage Sale community gather at a local parking lot with goodies in their trunks. 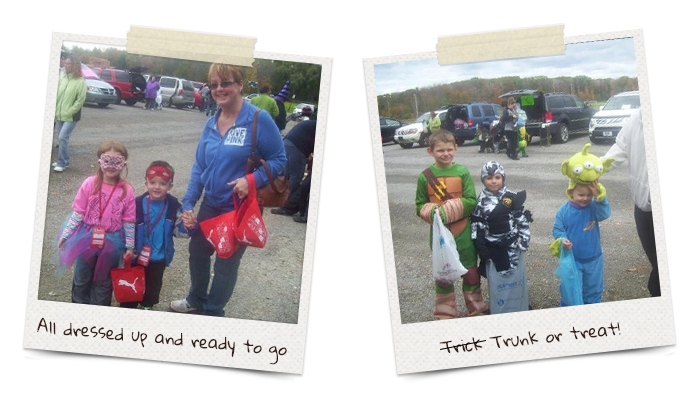 Once the kids arrive, all dressed up, they go from trunk to trunk, filling up their goodie bags. They just need to remember to say “Trunk or Treat!” first. This year’s event is taking place on Sunday, October 25th… and you can be sure there’s a lot of little kiddies anxiously awaiting the day. Amanda loves to bake—especially around the holidays! And as much as an eyeball cupcake might not be the most appetizing, her homemade Halloween treats are always hugely popular at this time of year. In addition to these deliciously creative cupcakes, her Girlfriends’ Trading Post – Sumner Co, TN community can also choose from an assortment of cakes, cookies, pies and all sorts of baked goods. P.S. Do you have a story to share about how your community went all out this Halloween? Share it with us in the comments below! Our community association in a Calgary neighbourhood organizes a Halloween Parade at 530pm, where the kids make their way from a designated area to the neighbourhood park, where they enjoy hotdogs and hot chocolate prior to trick or treating. It’s a lot of fun, and the parade gets bigger and bigger each year.